AUGUSTA, Maine — With the elections over and lawmakers set to be sworn in next month, Democratic and Republican caucuses in both chambers are scurrying to determine who will take leadership roles in the 127th Legislature. While not as high profile as the governor, legislative leaders wield immense power in the State House, driving the policy agenda in the House and Senate and controlling the purse strings of state government. On Thursday, lawmakers seeking leadership positions on both sides of the aisle were meeting with or calling new and returning colleagues, making their pitches in an effort to win the support necessary to be elected by their respective caucuses. The Republican caucuses from the House and Senate will meet to choose their leaders on Friday in Augusta, while the Democrats will meet on Nov. 12. Speaker Mark Eves, D-North Berwick, appears a lock to hold the gavel in the House for a second term, with no apparent challenger in sight. With 10 fewer members after Tuesday’s election, Eves would preside over a substantially smaller majority of 79 Democrats, who will likely be joined by four unenrolled representatives. 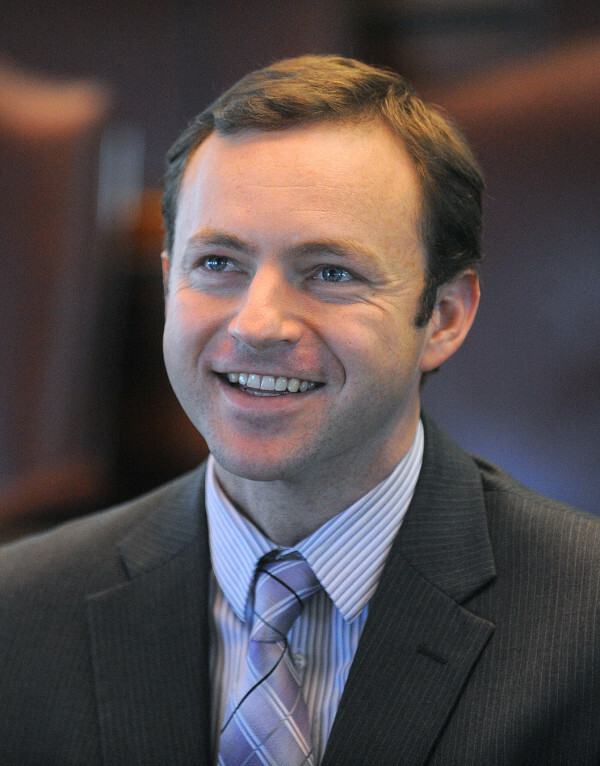 Eves will be focused on pushing his initiatives to assist Maine’s elderly. However, there’s a three-way race for the position of majority leader, which was vacated when Rep. Seth Berry, D-Bowdoinham, was termed out of office this year. 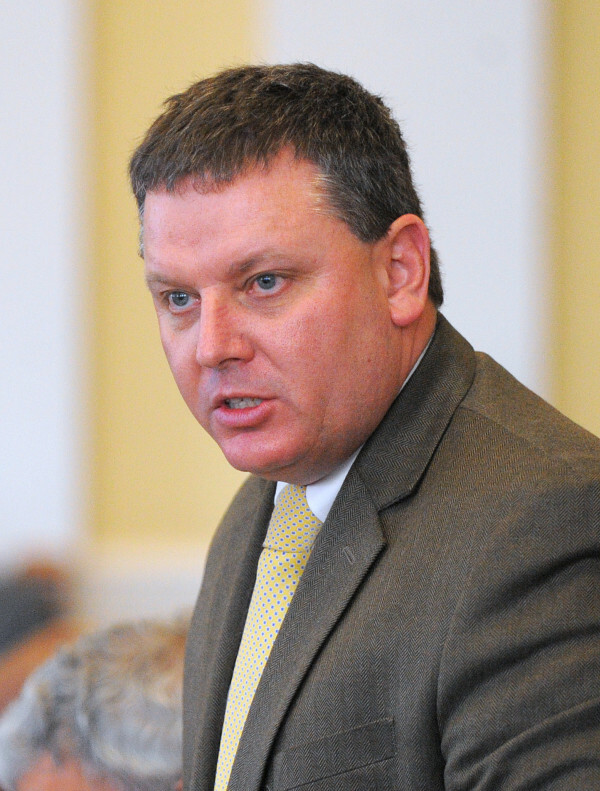 Rep. Jeff McCabe of Skowhegan is thought to be the front-runner after completing a term as assistant majority leader, also known as the “whip,” under Berry and serving as one of the point men in the Democrats’ candidate recruitment and campaign efforts. McCabe said Thursday that he was “feeling pretty good” about his chances. But according to several Democratic Party sources, McCabe will be challenged by Rep. Barry Hobbins, D-Saco, a powerful figure on the Energy Committee and, with 26 years of service under his belt, an elder statesman of the Legislature. By all accounts, Hobbins has a good working relationship with returning Gov. Paul LePage, a fact that could play into the Democrats’ choice for leader. Attempts to reach Hobbins on Thursday were unsuccessful. Rep. Mark Dion, D-Portland, a former Cumberland County sheriff who has since become a lawyer, also is running for majority leader. Dion leads the Criminal Justice and Public Safety Committee. House Minority Leader Ken Fredette, R-Newport, also is expected to retain his position. However, several contenders have emerged to fill the role of assistant minority leader — a role left vacant when Rep. Alex Willette, R-Mapleton, announced he would not seek re-election. GOP Reps. Deborah Sanderson of Chelsea and Jeffrey Timberlake of Turner both confirmed Thursday that they would seek the minority whip position, which is responsible for working with the leader to keep the caucus united, among other positions. Sanderson, who won her third term in the House on Tuesday, saw her stature grow last year as a member of the Health and Human Services Committee and one of the GOP’s most vocal critics of Medicaid expansion. Timberlake, also elected to his third term, served on the Agriculture, Conservation and Forestry Committee, and he was active in supporting GOP candidates in this year’s election. Stacey Guerin of Glenburn and Ellie Espling of New Gloucester also are rumored to be considering bids for Republican leadership, but neither answered calls Thursday. It’s less clear which members of the Senate would run for leadership positions. 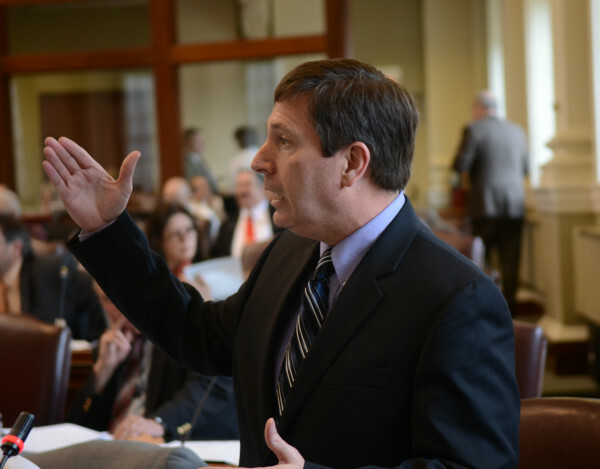 Sen. Mike Thibodeau, the GOP’s minority leader in the last session, appears poised to take the dais as Senate president after his party picked up up five additional seats to wrest a 20-15 majority from Democrats. No challenger has emerged to Thibodeau’s ascendance, at least publicly. While Sen. Roger Katz, R-Augusta, served as assistant minority leader in the last session, he will not seek a leadership position in the new Republican majority, he said Thursday. Instead, Sen. Garrett Mason, R-Lisbon Falls, said he and Sen. Andre Cushing, R-Hampden, will vie for the position of majority leader. Mason, a social and fiscal conservative, was elected in the 2010 Republican wave, and at 29 years old, he is considered a rising star in the GOP. Cushing has leadership experience, having been the assistant House majority leader in the 125th Legislature, when Republicans controlled both chambers. 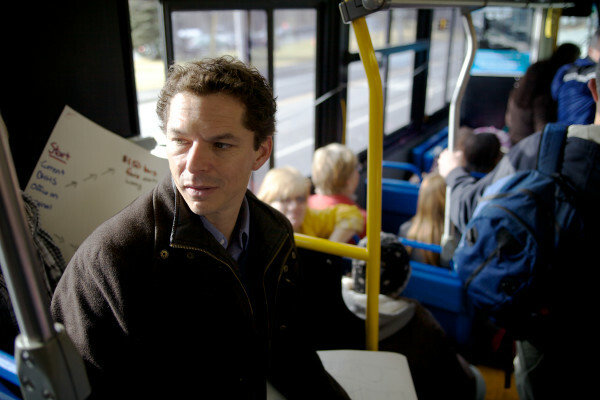 After losing the majority, Senate President Justin Alfond, D-Portland, said Thursday that he would seek the position of minority leader and will apparently also be unchallenged. That leaves the position of assistant minority leader open. What’s unclear is which Democratic senator will make a bid to serve under Alfond as assistant minority leader. Elected officials interviewed Thursday either didn’t know which senators would run or wouldn’t say. Last session’s majority leader, Sen. Troy Jackson of Allagash, did not seek re-election this year. Anne Haskell, another Portland Democrat who served as assistant majority leader in the last session, has said she will not run for leadership next week because she doesn’t think both Democratic leaders should be from Portland.